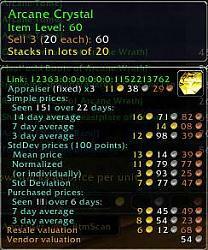 I want to thank the developers for their continued efforts to keep Auctioneer updated and Alive. I also will be making a donation to help (humbly) maintain their servers, but mostly to express to them all my appreciation. 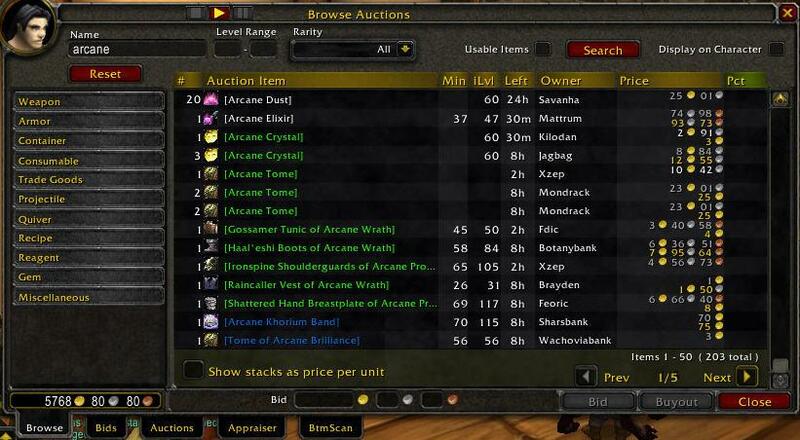 I would be very happy if the Auctioneer's Users Community decides to follow the action. Indeed, thank you all the non-developers for the fixes, and dinesh, Norganna, Nechckn, mentalpower for all the hard work. We ask, they deliver .. is anyone in the wolrd today doing that? Salu2 y a portarse bien. First, let me congratulate you on the BEST addOn in your class in Warcraft. For years you have consistently given us an extraordinary tool. Thanks. That said, I'd like to ask for a date to a 7.0.3 release. it's on http://auctioneeraddon.com/ in case you have not yet found it. Been there, but sadly all it has is exactly the same version that is available here. I love this addon, great job by the way. I just wonder if you guys are working on a update soon for the patch? I have over 1k auctions that I need to post soon. Is there something I can do to cause caged pets to work with Auctioneer, or is there another addon that is recommended for that? It used to be that the 'Auctions' tab in Auctioneer would show the name of the buyer, the sale amount, and the time left immediately after an item sold. I recently installed TradeSkillMaster along with the module TradeSkillMaster_Additions. The module adds a dollar amount to the 'A buyer has been found for your auction of __ ' notification when an item sells. I don't know if this is just coincidence, but now when an item sells I get the notification in chat as usual, but the item just disappears from the list of auctions. I can't track how much time is left or who bought it - it's basically in limbo until the gold is delivered to my mailbox. I uninstalled the TSM module thinking there might be a conflict, but it is still happening. Has anyone else reported a similar issue? You will need to take a moment or two to register but you will be able to post immediately & be more likely to get a quick response. That's great and all, if it would accept my membership registration. I get the welcome email, but when I try to login, it tells me "Sorry, permission denied". Tried creating 2 accounts under 2 email addresses, got the welcome email on both telling me I could post, and on both it told me I couldn't login, using my username OR my email address. GRR. This isn't a temporary problem, its been like that for years. Last edited by Tygerlilly : 01-13-14 at 04:32 AM.